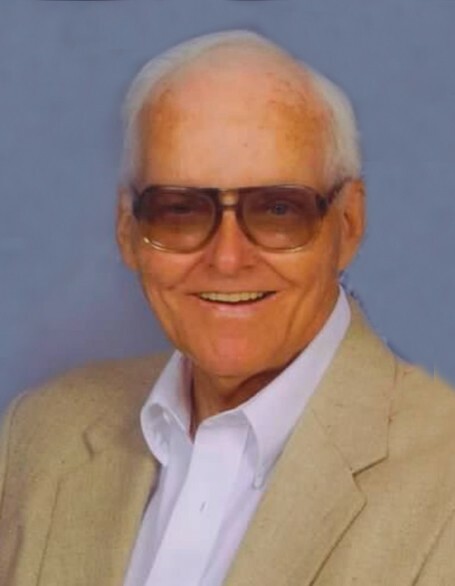 JERSEYVILLE - Jay E. Rogers, Sr., 81, died unexpectedly at 8:20 p.m., Tuesday, April 2, 2019 at his residence. He was born in Saint Louis, Missouri on June 19, 1937, and was the only child born to Edward J. and Ruth (Hoffman) Rogers. Growing up in St. Louis, he was a die hard Cardinals fan, and graduated in 1955 from Christian Brothers College High School (CBC) in St. Louis. After serving his country with the U.S. Army overseas in Germany, he returned home and for 26 years was employed by John Deere Corporation serving as a territory sales manager, covering five states, Illinois, Missouri, Tennessee, Louisiana and Arkansas. In 1990 he founded Rite-Way to Rent, and along with family, owned and operated countless stores throughout the area, retiring in 2005. Never one to slow down and being the people person that he was, staying home was not an option. He began working for the City of Jerseyville through the Parks and Recreation Department and was a familiar volunteer at Jersey Community Hospital. Jay was very active and committed to his community, through his memberships in numerous organizations, some of which included the Knights of Columbus, Westlake Country Club and Elks Lodge #954, all in Jerseyville. He enjoyed numerous activities, but his family always came first and foremost. He enjoyed golfing, and was an avid sports fan of any kind, especially if it was one that his grandchildren were participating in. He especially cherished the many family get togethers, vacations and hanging out with his grandchildren on various golf outings. He married the former Raelene M. Schumacher on Feb. 7, 1959 in Saint Louis, Mo., and together they have been blessed with a family that would include five children, and later grandchildren, as well as 60 years of marriage. Surviving are his wife, Raelene Rogers of Jerseyville; a daughter and son in-law, Michele and Joseph Kallal of Jerseyville; four sons and daughters in-law, Jay and Beth Rogers Jr., of St. Louis, Mo., Tim and Ruth Rogers of Jerseyville, Dan and Jennifer Rogers of Rosenberg, Tx., and Ric and Diane Rogers of Godfrey; 12 Grandchildren, Joey Kallal of Wentzville, Mo., Jenny, and her husband, Dustin Heimer of Kane, Meredith Rogers of St. Louis, Mo., Danny Rogers of Edwardsville, Lisa Rogers of Champaign, Kathryn Rogers of St. Louis, Mo., Abby Rogers of Des Moines, Ia., Matt Rogers of Jerseyville, Brian Rogers of Gladstone, Mo., David Rogers of Godfrey, Grace Rogers and Andrew Rogers, both of Rosenberg, Tx. ; and four great grandchildren, Chase and Colton Kallal of Wentzville, Mo., and Will and Wyatt Heimer of Kane. Visitation will be from 4 to 7 p.m. Friday at the Crawford Funeral Home in Jerseyville. A Mass of Christian Burial will take place at 1:30 p.m. Saturday, April 6, 2019 at the Holy Ghost Catholic Church in Jerseyville, with Father Martin Smith officiating. Private burial will take place at a later date at St. Francis Xavier Catholic Cemetery in Jerseyville. Memorials may be given to either St. Francis/Holy Ghost Catholic Schools in Jerseyville or to St. Jude Children's Research Hospital.